Jesus offers a clear contrast among shepherds. This would apply to priests, parents and all of us in our own unique way. The contrast He offers is between the ones who care deeply for those entrusted to their care, and those who are just going through the motions and are more motivated by selfishness than sacrificial love. Jesus perfectly manifested sacrificial love as the Divine Shepherd. He was willing to go all the way for us, His sheep. He was willing to sacrifice everything. He did not let suffering, persecution, rejection and the like deter Him from His responsibility of caring for us in a total and complete way. It should inspire us, console us and encourage us to know how deep His love for us really is. This love is seen, also, in the unwavering love of a parent, sibling, or dear friend. When the love one offers us is unwavering, especially in difficult times, this is a great support. And love offered to another like this forges a deep spiritual bond that is stronger than any hardship we may face. No matter what “wolf” comes our way, we must know of the unwavering support of the Divine Shepherd. And when we can see that love made manifest in the unwavering support of others, we are doubly blessed. But the contrast should not be ignored either. Jesus gives the example of “a hired man who is not a shepherd” who sees the wolf coming and runs. It’s important to point out how damaging this man is to the people of God. When he runs from his responsibility and gives into selfish motivation, he leaves the flock untended and vulnerable to attack. We should see in this hired man the temptation we all inevitably face in life. It’s hard to stick with it through the hard times. It’s hard to be there for those who need us when they need us. It’s hard to be faithful in all things and to never shy away in the face of the temptation of fear. Jesus offers His unwavering love and support to us as our Shepherd, but He also wants us to return this gift to Him by offering this same unwavering commitment to one another. Reflect, today, how well you imitate the Good Shepherd. Where you are lacking, let Him shepherd you so that you may shepherd others. 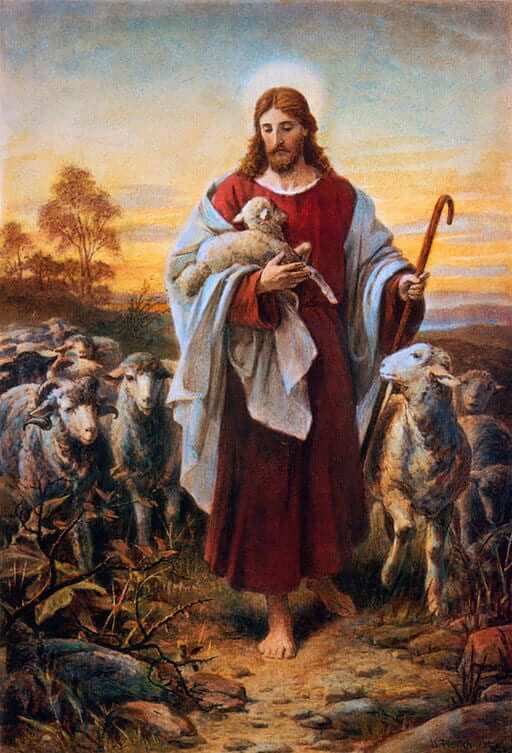 Run to the Good Shepherd and trust in His perfect love for you. Lord, I thank You for Your unwavering support of me as my Shepherd. And I thank You for those who act as Your instruments of this deep love and commitment. Help me to fulfill my role of shepherding Your people, the people You have placed in my life. May I never run from the glorious responsibility You have called me to. Jesus, I trust in You.